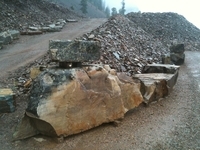 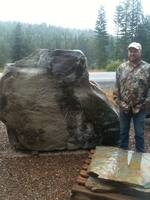 These boulders come from the Ibex quarry in NW Montana and range from blocky and horizontal to sculptural and vertical. 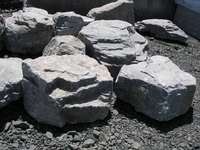 Many feature flat faces as an excellent backdrop for lettering/numbering applied to the stone surface or sandblasted into it for monument or signage applications. 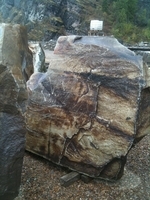 We dont stock many of these as they are a specialty item so our standing inventory will vary. 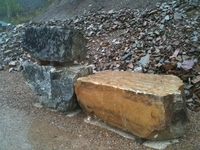 We can special order based on your specific needs - a lot of which depends on what the quarry has available at any given time.